There are more car accidents that occur on certain days of the year compared to other days. Not all days are created equal when it comes to driving. In fact, there are more car accidents that occur on certain days of the year compared to other days. This happens because there is more traffic on the roads on some days, and there is a higher number of drunk or aggressive drivers on the road. 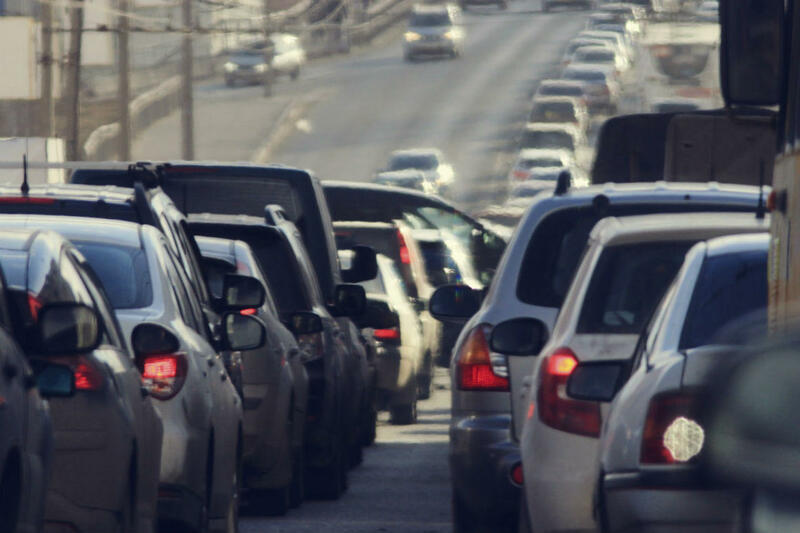 This article lists the 10 most dangerous days to be on the road. The day that marks the onset of summer is notorious for the number of accidents that take place. According to NHTSA, as many as 400 people get killed during an average Memorial Day weekend. There are about 13 percent more traffic related deaths reported than on a normal day. Approximately 44% of the fatalities are alcohol related. A study has found that the first 6 days of the start of day light savings time sees more driving related deaths than usual days. There is also an increase of 17% in traffic related deaths on the Monday after the start of daylight saving time. On any given Black Friday, there are 60 to 70 million shoppers at the local mall looking for bargains. All of those cars, combined with too few parking spots, lead to a record number of parking lot accidents. Progressive Insurance examined its data and discovered that from 2010 to 2011 the number of claims on Black Friday doubled and parking lot claims rose 36 percent. Rear-end accidents made up 12.5% of claims, while 11.1% involved a parked car being hit. Your favorite football team might just get you into a car accident, especially if it loses. A study done by the Highway Loss Data Institute (HLDI) found that claim frequency around the stadium went up on game day. Increases ranged from 8.2% to a whopping 79.7%. A home-team win, lessens the increase significantly with collision claims only rising by 3.2%. A loss, on the other hand, led to aggressive driving with accident claims jumping 9.4%. The collision effect was highest for the New Orleans Saints stadium (35.3%), followed by the Detroit Lions (28.5%). The Pittsburgh Steelers round out the top three with a 22% increase. Apparently, some superstitions may just be true. Aviva, the largest insurer in the U.K., examined data from 2004 to 2013 and found that collision claims went up roughly 13% on Friday the 13th when compared with other days in the same month. Strangely enough, it didn’t matter what season Friday the 13th fell in; the numbers always went up, winter, spring, summer or fall. New Year’s Day turns out to be the big killer, not New Year’s Eve. The deadliest day of the year varies by year, but New Year’s Day almost always ranks in the top five. It should come as no surprise that alcohol is a huge factor. January 1st ranked as the No. 1 day of the year with the highest percent of deaths related to alcohol, according to the Insurance Institute for Highway Safety (IIHS) data. Analysis by the National Safety Council discovered that over the New Year’s holiday season for 2007-2011, roughly 42% of traffic fatalities were related to drinking and driving. The first day of the year is still risky for your car even if you stay home: Historically it’s one of the days of the year with a high amount of car thefts. According to IIHS data, the Fourth of July ranked as the deadliest day to be out on the road from 2000-2013. In fact, according to IIHS data, July 4th is the second deadliest day of the year for drunken drivers with 42% of accidents involving at least one driver testing over the limit. “The best advice is common sense. Never go without your safety belt fastened, obey the speed limit, and don’t drink and drive. If everyone did those things, we’d have a lot fewer deaths on the July 4th holiday,” advises Rader. This family holiday ranks as one of the busiest travel periods just about every year. AAA projected that 46.3 million Americans would take to the road and drive at least 50 miles from home in 2014. As Thanksgiving always falls on a Thursday, most travelers head out on Wednesday, making it the busiest travel day of the Thanksgiving holiday. “Thanksgiving is a driving holiday, and not all drivers are paying attention to the task at hand. Some are inebriated on booze, turkey, or both. “All of this leads to more accidents,“ says Kristofer Kirchen, President of Advanced Insurance Managers. The Christmas holiday season tends to be stressful, and that leads to accidents. Data from the HLDI shows that collision claims increase by roughly 20% in December. David Brown, a University of Alabama professor, analyzed 10 years of crash data in Alabama and found that the six days around Christmas were particularly deadly, with accident numbers that were 27% higher than New Year’s Eve. Holiday stress combined with busy roads can lead to more aggressive driving. A State Farm survey found that 32% of drivers were more likely to show signs of aggression or road rage during the holidays. This can be the mother of all drinking holidays, which is why it often makes the list of dangerous days to drive. NHTSA statistics indicate that 276 people were killed over St. Patrick’s Day weekends from 2009 to 2013. In fact, two out of five crash fatalities over St. Patrick’s Day involved drunken driving.